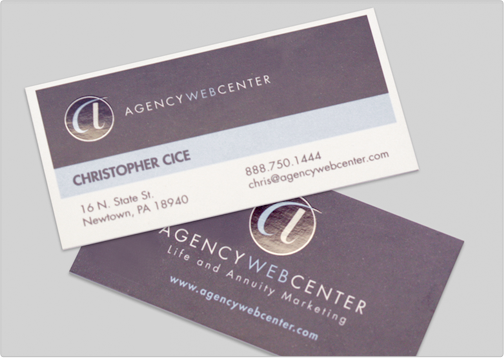 The Agency Web Center business card design was part of a corporate identity package for the company. Their brand and overall style was created by Taste of Ink Studios. This particular business card was designed to feature an extremely prominent and established company. The card contains a slim cut size and is spot glossed over the logo design to highlight their overall brand.